Not long ago, the city of Dayton, Ohio was like a ghost town, its streets devoid of any public life. Today, however, visitors will find an incredible mix of people enjoying its public spaces. At the new transit hub, Wright Stop Plaza, businesspeople on their way to work are grabbing donuts and coffee next to kids waiting for the school bus. Huge crowds gather for events at RiverScape, a waterfront park that restored pedestrian access to the Great Miami River. A shining new performing arts center attracts everyone from opera buffs to stand-up comedy fans. Families and singles alike pack the stands at the sold-out baseball games of the Dayton Dragons. These destinations, which have brought the Dayton community together in new and unexpected ways, all have one thing in common: They were made possible by Dr. Minnie Fells Johnson's pioneering work for the Greater Dayton Regional Transit Authority (RTA). Dr. Johnson will be the first to tell you that moving people from Point A to Point B is not her specialty. "I'm not a traditional transportation person," she says. Perhaps that's why, as head of the RTA, she championed the unorthodox idea that transportation should create places, help people connect with each other, and bring investment back to struggling communities. In the process, she transformed the RTA from an ordinary bus operator into a major catalyst of revitalization in the Dayton region. "You want to get away from the RTA as just a big 40-foot bus rolling down the street, and instead see it as an integral part of the community." The restored Wright Stop Plaza is now a centerpiece of downtown reinvestment after sitting vacant for 20 years. Johnson has pursued social change since her student days in the early 1960s, when, as a member of the Student Nonviolent Coordinating Committee, she participated in the Freedom Rides and sit-ins that confronted racial segregation in the South. 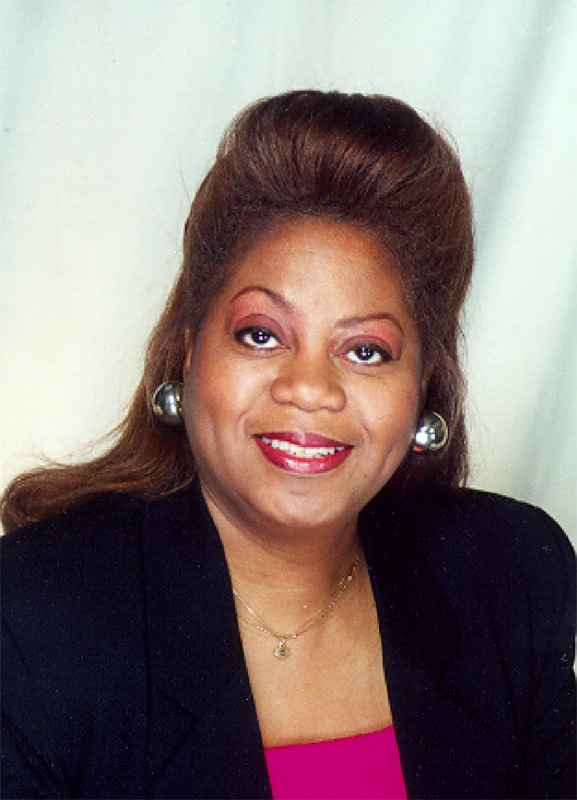 She went on to lead a distinguished career in government, serving as director of public services in Broward County, Florida and director of Ohio's state agency providing services to people with developmental disabilities. The agency has become "a connecting machine" - linking people to local institutions by creating corridors of public destinations. "I always saw transportation as something that's necessary to people's lives," says Johnson. "So you want to get away from the RTA as just a big 40-foot bus rolling down the street, and instead see it as an integral part of the community--something that adds value and improves the quality of life." She has accomplished this by greatly expanding the role of the RTA beyond that of a simple bus operator. The agency has become what Johnson calls "a connecting machine" -- linking people to local institutions by creating corridors of public destinations along transit routes. The first opportunity to put this strategy into practice came with Dayton's push to acquire a minor-league baseball team. For years city officials and the local business community had hoped to build a ballpark downtown, but the finances never seemed to add up. Just when the city manager was ready to declare baseball in Dayton a lost cause, Johnson came forward with an innovative proposal to incorporate transit-oriented components into the stadium, using $2 million in RTA funds to get the ball rolling and later acquiring $3.3 million in federal transportation grants to offset another chunk of the construction costs. The fountains and pedestrian promenade at RiverScape. Johnson's solution not only allowed construction to move forward, it also helped avoid the pitfalls that typically accompany downtown stadiums. Named Fifth Third Field (after an Ohio bank), the stadium is graced by a pedestrian plaza with public benches, bike racks, and bus shelters, not just rows of parking. Using the federal money, the RTA was also able to endow the stadium with first-class access for people with disabilities. Fifth Third Field is now a major attraction, linked to Dayton's Main Street by a three-block waterfront park and promenade known as RiverScape--another cornerstone of downtown's transformation into a lively, walkable district. 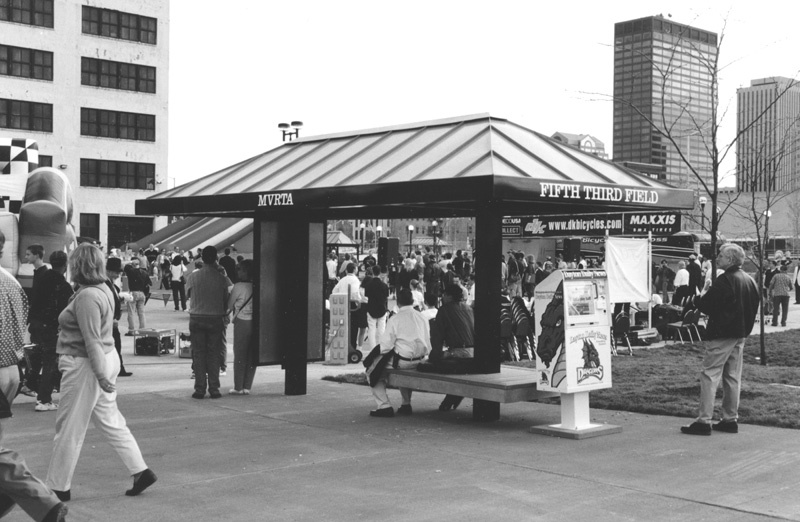 As with Fifth Third Field, the RTA helped make RiverScape a reality by directing federal funds for transit and pedestrian amenities towards its construction. The new park made the waterfront easily accessible to Dayton's citizens for the first time since 1913, when a disastrous flood necessitated the construction of levees along the Great Miami River. 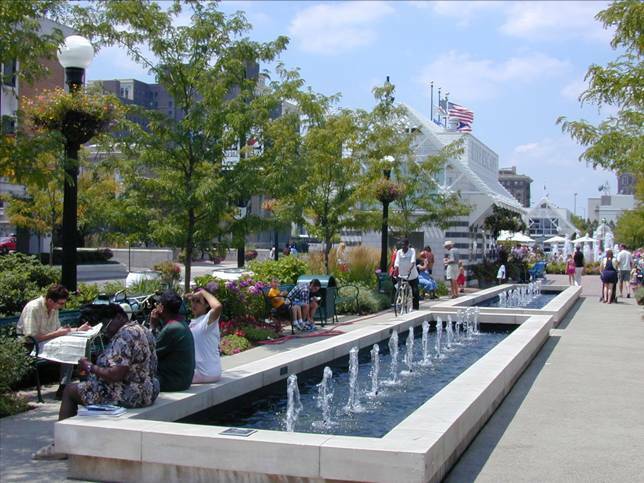 After opening on May 19, 2001 to the largest crowd ever assembled in downtown Dayton, it was clear that RiverScape was a public gathering place the likes of which the city had never enjoyed before. Not only do people use the promenade every day as a pedestrian connection, but sometimes nearly all of Dayton comes together there for special events--such as a summer concert series--that regularly attract upwards of 80,000 people. 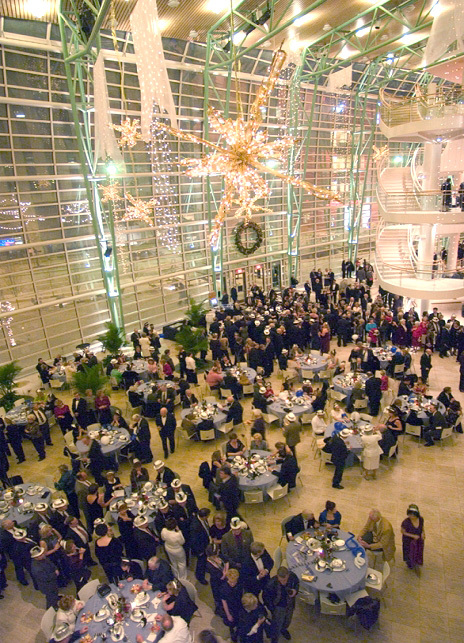 The atrium of the Schuster Performing Arts Center--known as the WinterGarden--was made possible by the RTA. "By this time," says Johnson, "there was great interest in what transit could put on the table." In 2003 she parlayed that interest into another crucial link in downtown's emerging corridor of public destinations--the Schuster Performing Arts Center, located just a few short blocks from RiverScape. RTA filled a critical shortfall by directing $12.9 million in funds towards construction of the Center's transit-oriented plaza and public atrium, as well as accessibility features that reserve some of the best seats in the house for people with disabilities. Although there were initial concerns about spending public money on what was perceived as a high-brow facility, Johnson says "an incredible mix of crowds" feel at home at the Center. She speaks glowingly of a recent Easter Sunday, when members of several different denominations sat side by side and turned the theater into a sold-out house of worship. A bustling bus stop near the new ball field for the Dayton Dragons. Johnson has been able to make these projects work for Dayton's residents in all their diversity because she carefully aligns the RTA's goals with the concerns of the public. "You have to have an idea that's sellable," Johnson says. "And the idea has to be rooted in the interest of the larger community--the leadership and the stakeholders and the citizens. We never did anything that was out of step with what people said were their dreams." You can see exactly what those dreams are all about at the RTA's most recent contribution to downtown, Wright Stop Plaza. The Plaza is the centerpiece of the RTA's regional hub network (29 bus lines converge there) and serves as the agency's new headquarters. More importantly, it is a community focal point and a potent instrument of downtown reinvestment. "It's a place so tantalizing that you can't stay away." "Dayton downtown was dying," Johnson explains. "We decided that rather than add on to our basic administrative facility and garage, which is a ways away, it would make more sense to spend those public dollars to benefit the larger region." 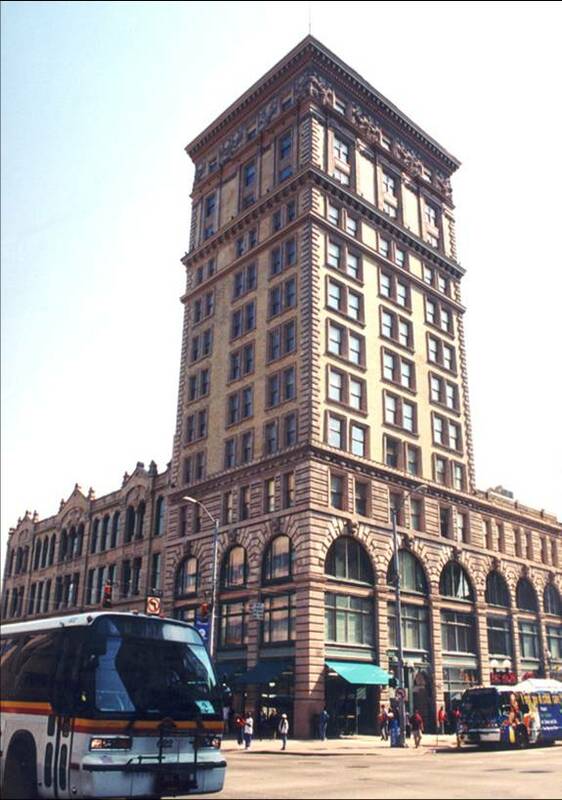 At a time when the private sector had left downtown behind, the RTA stepped forward to restore a building on the National Register of Historic Places that had sat as a vacant shell for 20 years. So the Plaza rose, phoenix-like, with a renovated exterior that re-used the facades of two other historic buildings which had been previously torn down. The ground floor is more than a waiting area, it's an active concourse filled with storefronts the RTA leases to local independent vendors who would not be able to afford other downtown locations. In addition to incubating these small businesses, Wright Stop Plaza provides space for community events and local entertainers, who perform in what Johnson calls "a cabaret environment." The staggering variety of activity there includes car shows, quilt displays, jazz performers, gospel singers, school choruses, magicians, contemporary dancers, ballet companies, and hip-hop acts. "The goal is to make it a destination point and have people ask, 'What's going on at Wright Stop Plaza?'" says Johnson. "It's a place so tantalizing that you can't stay away, even those people tucked away in office buildings." Over time, she observes, more people in suits started venturing into the Plaza for bagels on their lunch break, rubbing shoulders with transit riders waiting for a bus. 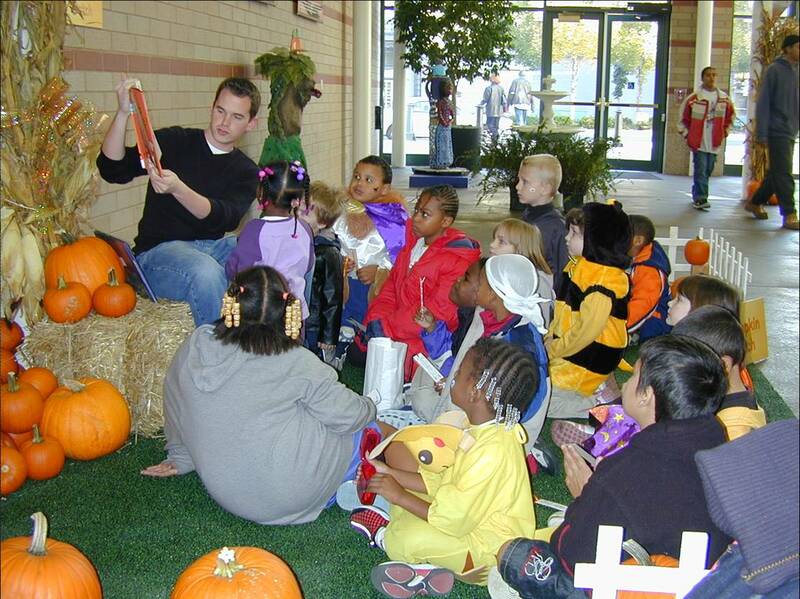 Children listen to a storyteller at Wright Stop Plaza, Dayton's new transit hub. The effect is similar around RTA's four peripheral hubs, which the agency began building ten years ago to help rehabilitate economically depressed areas of the city. "They were faltering complexes," explains Johnson, "but we brought customers there, and more people started renting those sites because the bus was there and it was a transfer point." The emergence of a transit agency as an engine of community development has stirred up some controversy, Johnson notes. "Many people see that the RTA has gone way beyond its original role and want us to become just a bus company again." In particular, now that downtown is once again viewed as prime real estate, some new property owners have initiated a campaign to "get the buses off Main Street," apparently forgetting the contribution of the RTA to the area's renaissance. "This is the direction we have to take. Otherwise, cities will die." "They see young black kids catching the bus to school and they get scared," says Johnson, noting that Dayton's transition to a dispersed charter school system--for which business leaders lobbied strongly--means many students now have to transfer at the downtown hub. As a result, she explains, "Some people don't want transit there any more. They say 'Let's clean it up.'" The RTA is thus at a crossroads, with Johnson moving on after 15 years of service to pursue her long-held dream of helping cities in Africa become better places to live. Many in Dayton are hoping that the next head of the RTA will continue her bold campaign to use transit to support public spaces and civic life. Her track record offers the city and other hard-hit communities convincing proof that transit should play a critical role in future development. "I think if we're talking about recreating the urban core, this is the direction we have to take," she notes. "Otherwise, cities will die. We have to bring vitality to the forefront, and transit is one of the avenues to do that."